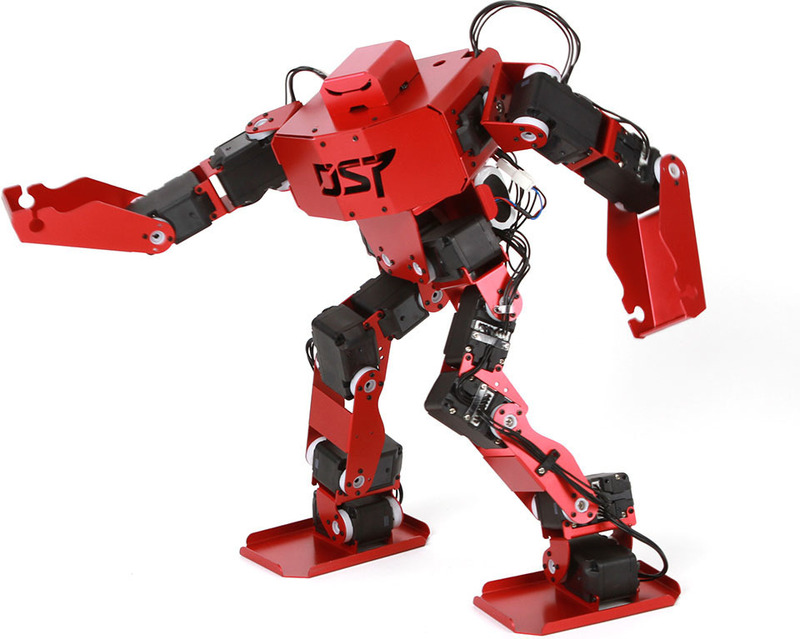 Hovis Fighter Humanoid Robot is a model with 17 degrees of freedom. It has a Bluetooth module and it can be controlled by Android Phone. Also, it’s very light and dynamic motions are available. Moreover, user can customize the robot as they wish with the provided programs(DR-SIM, DR-Visual Logic).